Russia’s largest documentary film festival, ArtDocFest, is back in Russia for 2017. With hundreds of films showing across three seperate cities — in Yekaterinburg, Moscow, St Petersburg— the festival showcases the very best of Russian documentary making. The Calvert Journal has picked out some of the top films to catch this year, including plenty of potential candidates for 2017 prestigious top prize. Directed by Dmitry Bogolyubov, The Wall, is one of several films at this year's festival to tackle the legacy of Soviet leader Josef Stalin. The documentary, which has already won first place at the Jihlava International Documentary Film Festival in the Czech Republic, follows the ordinary Russians who gather at Stalin’s statue at the foot of the Kremlin’s walls, laying flowers to commemorate the dictator’s birthday. King Lear follows an elderly man in his quest to play the role of the tragic Shakespearean hero. Director Denis Klebleev, a former ArtDocFest prize winner, has already been praised for bringing this everyday story alive and challenging the audience's preconceptions. Inspired by a childhood trip to the Sukhumi monkey nursery, Alexander Solomon’s documentary follows primates at a scientific research facility in the self-declared republic of Abkhazia. The film focuses similarities between the apes and the local population: victims trapped in an area devastated by war, isolation, and social and scientific experimentation. Anita Mathal Hopland and Jens Lengerke’s film follows the lives of two young people — one in Kiev and one in Moscow — who live to roam the cities hidden and forbidden places: on rooftops, in abandoned buildings, and underneath the city streets. A lot has already been written about Russia’s roofing scene, but On the Edge of Freedom uses strong central characters — and smart use of GoPro footage — to give a deeper insight into the world of urban exploration. 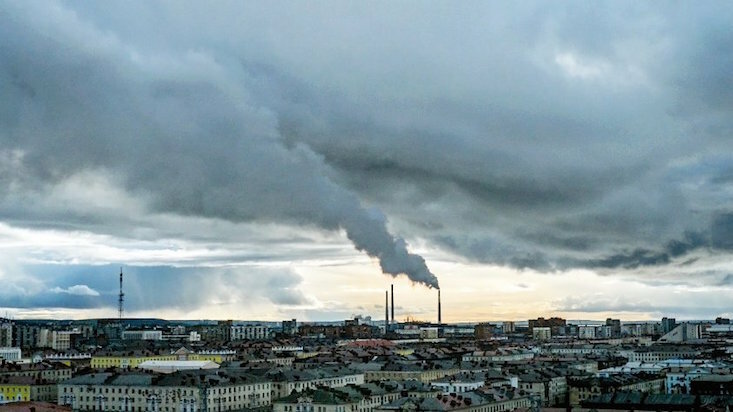 Buried deep in the Siberian Arctic, the city of Norilsk is a monument to man's perserverence in one of the world's most challenging environments. A Moon of Nickel and Ice sheds light on the strands of the city's diverse population, taking a deeper look at the city that binds them together. ArtDocFest will run between 6 — 12 December in the Russian cities of Moscow, St Petersburg and Yekaterinburg.